We undertook this audit because the Office of Parks scored relatively high in our 2015 risk assessment. Primary risk factors included size and complexity, spending on capital outlay and commodities, budget-to-actual variances, and relatively high overtime, injury on the job, and sick leave hours. We inspected a sample of 40 parks using the Department of Parks and Recreation's quality assessment form, which establishes a high standards rubric. The average score for parks we inspected was 73%. Fifteen of the 40 parks scored below 70%, indicating that the park was in poor condition. 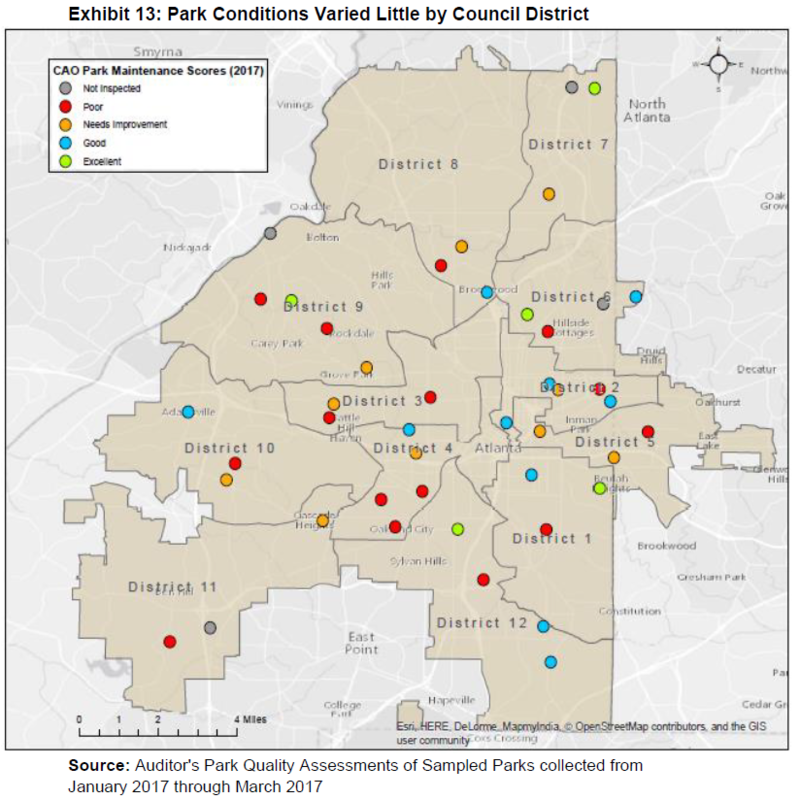 Parks in our sample maintained by third parties scored an average of 15 percentage points higher than the sample parks maintained by city crews. Staffing during the off-season may not keep up with year-round needs. The Office of Parks collected about half as many inspections as would be inspected on a ten-day cycle. The department paid parks maintenance employees over $540,000 in overtime in 2015 and 2016. Our recommendations focus on the park inspections process.